Offering their patients a safe haven to undergo surgical and medical spa services, board-certified Drs. 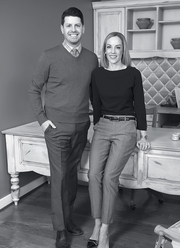 Sarah E. McMillan and Daniel J. Liebertz provide concierge care at their boutique practice. Supported by a team of nurses that specialize in plastic surgery and a former ER nurse, the doctors provide the utmost in safety in their state-of-the-art surgical suite. “Patients decide to undergo plastic surgery after much thought, and once they come in to our practice, they know they’re in the right place for their journey,” says Dr. McMillan. With an in-office operating suite and on-site medspa, their combination approach allows them to customize a plan that yields the most natural-looking outcome. It's incredibly rewarding to help a patient feel confident. 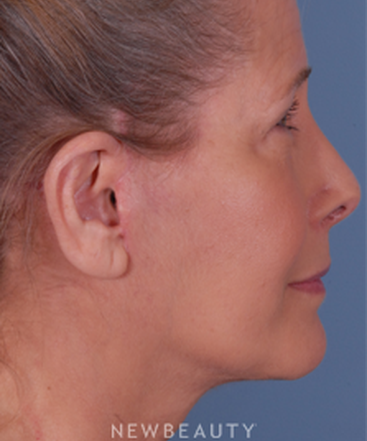 WHAT IS YOUR APPROACH TO PLASTIC SURGERY? WHAT NONSURGICAL TREND ARE YOU SEEING AT YOUR PRACTICE? I designed my practice to remove the intimidation from plastic surgery. Hardwood floors, distressed cabine_try and accents like bedside tables, fresh flowers and a chandelier in the reception area create a welcoming environment. Instead of paper gowns, my patients wear fuzzy robes. It can be a difficult and scary thing to admit out loud that there is something you don't like about yourself. I want my patients to feel comfortable through_out the entire process. Seeing a patient for the first time, I definitely tailor the consultation to what she wants, but I also educate her on what would serve her best. Sometimes women come in knowing they need something, but they're not exactly sure what that something is. It's my job to listen, educate and help guide patients so that they can attain the results they want. How would you describe your approach to plastic surgery? 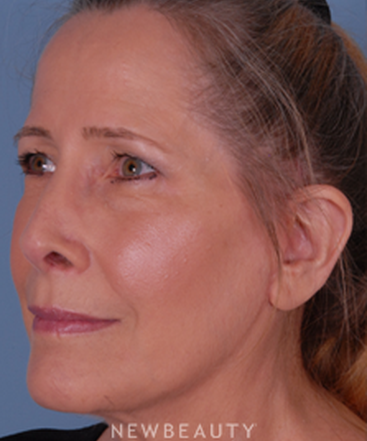 My approach is to provide natural looking results that improve upon what my patients already have. My goal is to help patients find their inner confidence and feel beautiful to make them look the best that they can without anyone knowing why they look so good. What anti-aging advice do you offer patients? Wear sunscreen. People always ask me, 'How do you look so young?' I tell them my secret is sunscreen and Botox a little Botox goes a long way! What is something your patients might not know about you? I've always known I was going to be a surgeon. Many of the best surgeons historically have had a keen eye for aesthetics and are considered artists, which is why I was an art history major in college. I feel this has helped me develop a very visual way of thinking and working as a plastic surgeon. What do you like most about being a plastic surgeon? I especially enjoy the artistry and the variety. As a surgeon, you always have a plan, but every operation is different for every patient. It's gratifying to have the education and training to be able to do what each patient needs and to attain the results that will make her happy. 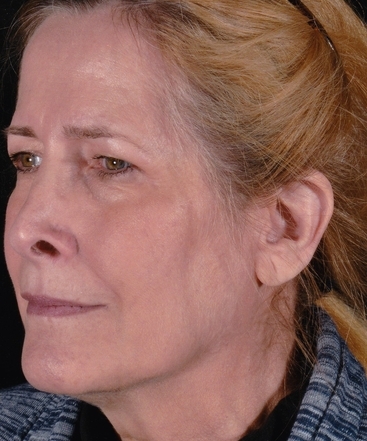 This 40-year old woman experienced changes to her body after pregnancy. She underwent a combined breast lift and augmentation, abdominoplasty and liposuction to the inner and outer thighs. 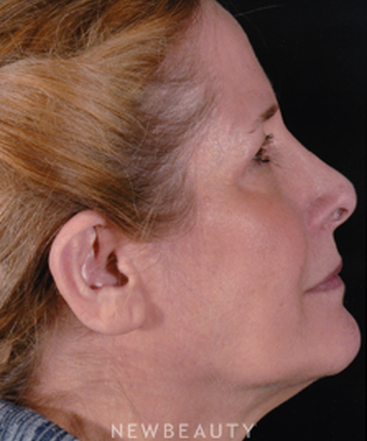 This 40-year old women also experienced changes to her body post-pregnancy. 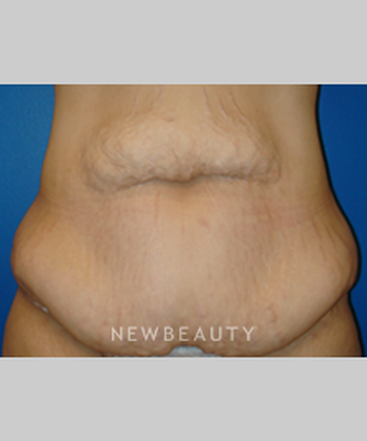 Dr. McMillian treated the excess skin on her abdomen with a tummy tuck, complemented with liposuction to her flanks. Unhappy with her breasts after pregnancy and breastfeeding, this 30-year-old patient underwent a breast augmentation and breast lift with 300-cc moderate plus silicone implants. To rejuvenate the look of her abdomen and remove extra skin after having three children, this 41-year-old patient underwent a tummy tuck with liposuction of the flanks. This woman was having difficulty regaining her pre-pregnancy shape. The patient underwent submuscular augmentation with silicone implants combined with abdominal and flank liposuction and received fantastic results. Unhappy with her breasts after pregnancy and breast-feeding, this 31-year-old patient came to Dr. McMillan for a breast augmentation and breast lift with silicone high profile implants. To rejuvenate the look of her abdomen and loose, sagging skin after pregnancy, this 36-year-old patient underwent a tummy tuck with tightening of the abdominal muscles. Join us for a discussion on skinbetter science® skincare products. Receive exclusive pricing on Botox banks! 20% off all skinbetter science products. Bring a friend who is new to the practice to be entered into our raffle. Includes lunch and a NewBeauty Testube.